Microsoft has just confirmed that the finalized version of Windows 8.1 will be released to the world starting this coming October. The roll out will start from 12AM New Zealand time on 18 October which would be equivalent to 7PM of 17 October in Malaysia. The new update which will be made available for free to existing users is said to include tons of improvements to the operating system such as more personalization options, wider search capability, improved Windows Store experience, deeper integration with SkyDrive, and more. 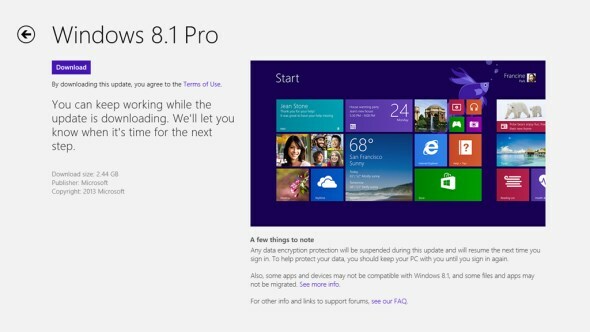 Users are actually able to check out quite a number of the said new features and improvements above through the Windows 8.1 Preview edition which was released back in June. Microsoft has also stated that Windows 8.1 will be made available at retail stores and new devices starting for the same date according to respective market.